How Far is Town & City Garden City Retirement Homes? We have envisioned the demands of today’s seniors and created retirement homes that permit you to live your life on your terms. Garden city is an ideal place for leisure living, to keep senior citizens fit both mentally and physically. Flats are perfectly planned with care to meet the practical needs of an aging population. 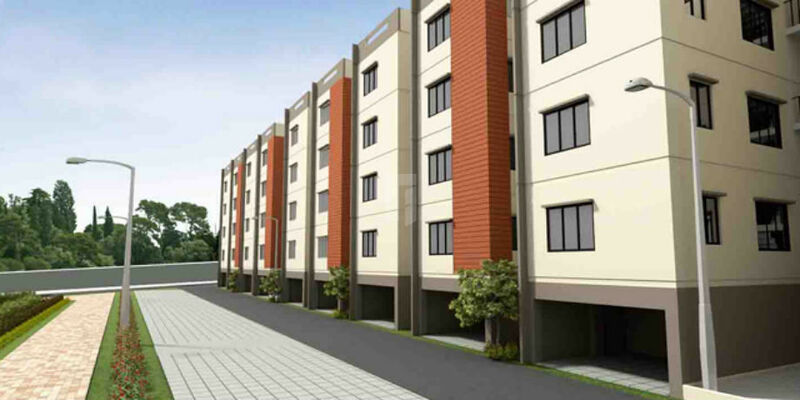 It’s more than an apartment as it has various facilities that give comfort and carefree living. We are the first one to make a venture into this retirement homes segment in Coimbatore. Garden City Retirement Homes are exclusively built with the touch of love and care. Our goal is to enrich the life of the aged community through life fulfilling experience, quality health care, independence, support and security. 8” Thick main walls and 4” thick partition walls with Solid Blocks. Entrance Door with Teak Wood Frame and membrane pressed panelled shutters with melamine polish finish and other doors with country wood frames and membrane pressed panelled shutters paint finish and fibre doors for toilets. UPVC windows with M.S. safety square rod grills. Granite cooking platforms with single bowl S.S. sink. Wall dadooing with coloured glazed tiles upto 2'0” height. Three phase power connection for each flat with concealed wiring of ISI make and modular switches of ISI make. Necessary TV, Telephone, AC and UPS provisions. Putty and Emulsion finish for internal walls and white cement with exterior emulsion finish for external walls. Weathering Course with surki, lime morter and finished with Pressed clay tiles. Interlocking pavement blocks finish for pathways & parking. Adequate storage sump, overhead tank for borewell and drinking water. Drinking water tap point at kitchen. All materials used for construction are as per the ISI standards and specifications.